One of my favourite forms of exercise is running! 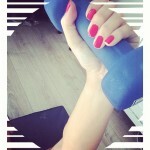 In my opinion, it is the best body conditioning exercise and a very effective way to lose weight. I took a bit of a break at the beginning of the year and have recently started training again. 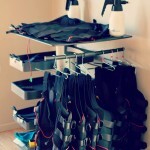 An important part of my training is keeping track of my progress and having the right equipment to do this! I was very excited when the lovely people from TomTom contacted me, to run a Women’s Month competition! We are giving away a TomTom Runner watch to one lucky female reader. Keep reading to find out more about this watch and how you can win one. • Ultra-Slim Design: At just 11.5mm, the slim design comfortably fits both men and women, and all wrist sizes. • Indoor Tracker: Accurately track indoor runs using built-in sensors to count strides, so that users can monitor pace and distance, even while running on a treadmill. • QuickGPSFix: Get started faster by using the latest in GPS and GLONASS satellite technology to quickly find their precise location. • Super-Tough Display: Scratch- and impact-resistant glass stays easy-to-read, workout after workout. • Weather- and Waterproof: Waterproof up to 50 meters/5ATM. • Long-lasting battery: Up to 10-hour battery life (GPS Mode). • Bluetooth® Smart: Connect to sensors using the latest wireless technology. • Heart Rate monitor*: Use the Bluetooth® Smart Heart Rate Monitor to track training zone for weight control, performance or speed. The TomTom Runner Watch is available from: Makro, Game, Dion Wired, HiFi Corp, Cape Union Mart, Take-a-lot.com and is valued at R1699.00. Answer this question in the comment section below: Name one of the features on the TomTom Runner Watch and tell us who your most inspiring woman icon is. Visit Tom Tom SA and/or Inspired Living on Facebook and let us know you have entered. Please ensure you read the *Terms & Conditions below carefully, to ensure you comply with all the entry criteria. *Terms & Conditions: By entering this competition you automatically accept all the Terms and Conditions laid out below. Entries are open from 10th August 2015 until the 19th August 2015. You must complete all the steps as stipulated above on the Rafflecopter Fome: Leave a Comment, Like and/or Share on Facebook or Instagram and/0r Tweet about the competition. To ensure that your entry is processed correctly (please use a valid email address). Your details will only be used to validate your entry and inform you, if you are selected as a winner. This competition is only open to South African residents and to readers who have not won a competition on Inspired Living SA in the past 6 months. Entries will be considered incomplete and thus disqualified if the entrant does not provide all requested information. Entry information will not be shared with any third party without the entrant’s prior knowledge and consent. The prize will go to the first name selected at random after the closing date. The prize is not transferable and may not be exchanged for cash. By “Liking” you enter and agree that this promotion is in no way associated with, administered by, or endorsed by Facebook; and acknowledge a complete release of Facebook by your participation. All opinions, content and images are the property of Inspired Living or Fiona Rossiter unless otherwise stated. All the information on this website is published in good faith and is generated for entertainment and informative purposes. Content is not to be perceived as professional advice in regards to health or finances, or any other field. Any action you take upon the information you find on Inspired Living, is strictly at your own risk. Inspired Living will not be liable for any losses and/or damages in connection with the use of our website. For more details please read the full PR & Disclosure Policy below. Hi, I am a lifestyle blogger from beautiful Cape Town in South Africa. I love being creative and almost never shy away from an adventure. I am a keen home cook, avid interior decorator, passionate amateur photographer and I love drinking good wine. Inspired Living is a Lifestyle blog featuring Decor, Fashion, Food, Wine, and Travel. Mother Teressa is my icon ,she inspired me to be a loving & caring mother & now a grand mom . I think my favorite feature there would be the Ultra-Slim Design: At just 11.5mm, the slim design comfortably fits both men and women, and all wrist sizes. I have a very slim wrist and i have looked at running watches before but could not find one that i felt fit my wrist well without looking overly bulky. 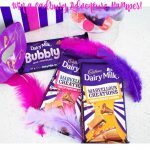 I would love to win this so i can find the motivation to get back into running after winter has left me so lazy! hopefully being able to track progress will push me harder. It is weather- and waterproof! My female icon is definitely my mom – the most beautiful soul in the world. OPRAH WINFREY IS THE MOST INSPIRING WOMAN, SHE IS A TRUE INSPIRATION! Heart Rate monitor*: Use the Bluetooth® Smart Heart Rate Monitor to track training zone for weight control, performance or speed. Long-lasting battery: Up to 10-hour battery life (GPS Mode). One of the features is the Super-Tough Display(Scratch- and impact-resistant glass stays easy-to-read, workout after workout). My most inspiring woman icon is any woman who has been through severe hardship where life has knocked her down, but yet she picks herself up and stands strong to face challenges (while still being able to smile gracefully). That to me, is an inspiring woman. “Super-Tough Display: Scratch- and impact-resistant glass stays easy-to-read, workout after workout.” – That’s amazing! You want something that’ll last! My mom is my inspiration. If I could be a mother like her one day, I’ll be so proud. She is more than just my mom, she is also my best friend! She always put the needs of my brothers and I first, and never complained. She cooked, baked, cleaned, took care of our pets, sewed us pajamas, she did EVERYTHING! One of the features of the TomTom runners watch is that it has an Ultra-Slim Design: At just 11.5mm, the slim design comfortably fits both men and women, and all wrist sizes. One of the features is its heart rate monitor. My icon is Lady Diana. The long lasting battery – 10 hours is quite impressive! My most inspiring woman would be Gwen Jorgensen who is dominating the womens triathlon world at the moment, unbeaten for 12 out of 12 races!! Favourite feature: Super-Tough Display: Scratch- and impact-resistant glass stays easy-to-read, workout after workout. 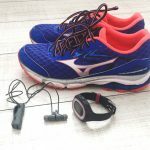 For myself being a busy women the feature that appeals to me has to be the Long-lasting battery: Up to 10-hour battery life (GPS Mode).This would give me the freedom to worry about one less thing,while keeping fit and working out,My. Icon is Vicky Sampson,her legendary 20 year hit “My african dream” has been my workout song for years its aspired me through many walks of my life! Super-Tough Display: Scratch- and impact-resistant glass stays easy-to-read, workout after workout. »»»Mrs South Africa 2015 Mrs K.Scott is my icon inspiration.She has a kid with cancer and is so strong for her family,makes time for charity work as well as to lose weight and look beautiful always. I love this prize.I so need this as I have started to exercise.Retweeted. 2. my late adorable, gracious, loving, caring, best Mum in the world. The little girls in my gr 1 class inspire me every day!! Weather and waterproof for 50 meters. CAROLINE WÖSTMAN is my icon 2015 winner of the two oceans marathon. She was amazing to watch going over the finish line. I love running. QuickGPSFix: Get started faster by using the latest in GPS and GLONASS satellite technology to quickly find their precise location. GPS mode and is waterproof up to 50 Meters. The Tom Tom’s heart rate monitor is one one of my favourite things about this runner’s watch! It’s also waterproof so I would be able to run in a slight drizzle without being nervous. My mom Fiona Cane is my inspiration. She isn’t technically an icon, but she is in eyes and in my heart. She has completed the Comrades Marathon five times since beating cancer. I’m not a great runner but I do enjoy participating in 5km fun runs in the weekend. I do one (or a park run) at least twice a month. I would love to own a Tom Tom watch to help improve my running! I must say, Inspired Living has some of the best prizes on any blog and this is the top prize! I hope women’s month turns out to be my lucky month! Love the fact that it’s weatherproof and waterproof.. and it looks great too 🙂 most inspirational woman.. my mom. She inspires me to be the best I can be. She is one amazing woman. Long-lasting battery. My mom, naturally. I love the long lasting battery because it won’t die while I’m using it. The woman that inspires me the most is my mom because she is the strongest person I know. She never gives up even when times are tough. I love the heart rate monitor feature! I just acquired a treadmill and need to keep track of my heart rate to ensure I’m in fat burning mode when walking so that I can lose all this excess weight I’m carrying around. My mom inspires me… She’s been through tons of hardships and still comes out strong and proud on the other side. She’s a mom, wife, employee and our rock! Long lasting battery up to 10 hours battery life. No battery no Tom Tom! Long lasting battery life up to 10 hours! My mom Brigitte Buys. She is such a Strong woman and always does something good for someone.She is such a special person and mom in my life. My favourite feature is that it has a long lasting battery up to 10 hours of battery life (GPS mode). My most inspiring woman icon is Neghar Fonooni. She is an Air Force veteran, and she is all about helping women not only change their bodies, but their attitudes to their bodies as well, via her blog Eat, Lift And Be Happy. If you’ve ever fantasised about a sun-kissed, salad-powered Cali lifestyle – or as close as you can get to that while living in Slough, anyway – Neghar is your woman who will inspire and motivate you to a healthy new lifestyle. Angelina Jolie – if I had to send a representative of human life on earth to another plant, I’d sent Angelina! A real gem of a human and the best representative of humanity! My favorite feature of the TomTom watch is the Multi-Platform compatibility. My most inspiring woman icon would definitely be Princess Diana. Oh my what an AWESOME prize!!!!! Long-lasting battery: Up to 10-hour battery life (GPS Mode)…. Most inspiring woman is Lorna Jane from the Lorna Jane Active Aussie Brand! 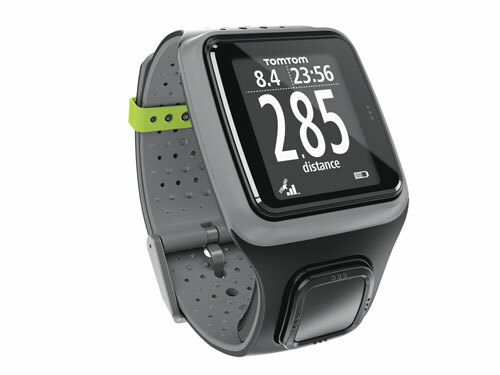 The TomTom Runner Watch is Weather- and Waterproof: Waterproof up to 50 meters/5ATM. My most inspiring woman icon is Helen Mirren. She just seems to be such a wonderful woman who has lead such an good life and continues to. She is aging so well and has such a great attitude. I hope I am half as awesome as she is when I am her age. My mom is my role model, she just turned 88 and is still awesome and amazing……Weather- and Waterproof: Waterproof up to 50 meters/5ATM. Bluetooth® Smart: Connect to sensors using the latest wireless technology. Zola Budd – so inspirational!! My favourite feature is the super tough display. Often my twins boys of 3 get hold of my goodies and drop it. I have lost many expensive belongings that way. My iconic woman is Sandra Bullock. She’s tough as nails and remains a great example for all. I admire Angelina Jolie for a few things: to have a house filled with adoptive children and her contribution to UN efforts. Feature: Weather- and Waterproof: Waterproof up to 50 meters/5ATM. The heart rate monitor- this is a fantastic feature which I love. My inspiring Icon is the beautiful and successful actress Charlize Theron. She is a great mom?, talented actress, involved in charity and so much more. Long lasting battery life up to 10 hours! AMAZING! My female inspiration has to be Chantae McMillan. WOW can that woman run. She looks amazing and remains a true inspiration for me to keep at my goal to becoming a fitness model. GREAT battery life up to 10 hours! AMAZING! I sometimes forget to charge so I love that it has long lasting battery life up to 10 hours! My woman inspiration is my mother. She sees the greatness in people and teaches us that we should appreciate everything we have. Right now I am inspired by Caitlyn Jenner that had the courage to finally be who she was meant to be. I like the long-lasting battery: Up to 10-hour battery life (GPS Mode). And my Mum is my icon. She worked hard to do her best for us kids. I love the battery life of thoa device wow up to 10 hours that is amazing ? My most inspiring woman icon is Oprah Winfrey. My favourite feature is the amazing battery life wow up to 10 hours that is amazing ? Waterproof up to 50 meters/5ATM. I love the fact that it has a heart rate monitor! I love keeping track and monitoring all of that stuff! My female icon is definitely Lauren Fisher, she has shown me that woman are just as strong and capable as men! And she works insanely hard! I love it! It’s waterproof up to 50 meters. My mum is my inspiration. Monitors ones heart rate. My mum is my inspiration. I have to say the Slim Design is my favourite feature. Most inspiring female is all the single mothers out there. It has a long-lasting battery with a 10 hour battery life. I had to have quite a good think about who is the most inspirational woman to me, as there are many that influence different aspects in my life. Cliche as it may be, I decided that it would have to be Princess Diana. I strive to have a kind and generous heart, just as she had and to be able to handle what she did with such grace and dignity is something I can only dream to have! Monitores one’s heart rate. Awesome. I am inspired by the The Word of God. It’s waterproof up to 50 meters (perfect for any mom!) My mom will always be my biggest inspiration but the woman who I look up to is Ashley Graham. definitely the Super-Tough Display, i drop my things alot! woman who inspires me most if my wife! Full time worker, loving mom and studying MBA at the same time! My current “running watch” is 11 years old and I am really in desperate need of an upgrade!!! It will help motivate me to get my running on again!!! Weather- and Waterproof! My icon is Oprah Winfrey! Heart Rate monitor*: Use the Bluetooth® Smart Heart Rate Monitor to track training zone for weight control, performance or speed. The most inspiring women is myself , as i not only inspire myself for betterment but also an epitome to women out there . Long-lasting battery. And of course my mom! Bluetooth® Smart feature. And my mom is by far my most inspiring women icon. One of the features and probably the most important in the 20th century has got to be the Long-lasting battery: Up to 10-hour battery life (GPS Mode). My mom is my role models. The most caring , unselfish and inspiring soul on this earth. I love that the long-lasting battery holds up to 10-hour battery life (GPS Mode). My most inspiring woman icon is most definitely my mum. She’s the first one you call with good news. She’s the first one you call with bad news. She’s the only person you can actually shop with. She will always make the trip to visit you, no matter how far away you are. She will never forget your birthday, and she’ll be the first to sing to you when the clock strikes midnight. She will be honest when something doesn’t look good on you. She will tell you when you’re being a brat. She will listen to your dramatic stories and your stories with no end. She won’t judge you when you wear the same outfit three days in a row. She’s always got good advice, even if it’s not what you want to hear. She always has your best interest at heart. She the one person who actually keeps your secret, a secret. She knows what kind of foods you like (and don’t like). She will never stay mad at you or hold a grudge. She will buy you something spontaneously just because she knows you’ll like it. She will tell you if you’re getting fat, but will say you look beautiful no matter what your weight. She will watch movies with you even if she doesn’t like the preview and ends up falling asleep. She’s the only person you can count on to text you every day. She’s the one you can brag to about your accomplishments and express shame to for your mistakes, without fearing judgment. She will drop everything to be at your beck and call when you’re sick, whether it’s a common cold or the flu. She’ll support your interests and encourage you to stay true to your passions. She’s the only person who knows your annoying habits and still loves you unconditionally. She never fails to tell you she loves you at least once a day. She’s the one who sees there’s only one cookie left for the two of you and suddenly says she’s too full. She will go above and beyond, through the toughest of conditions, just to make sure you’re happy. She’s the one who’s standing beside you, when everyone else has walked away. I am proud to have learned from the best. My mother is the light in our family. From her shines true love that would sow love in every member of the family. She shows true compassion that is needed to link each family member towards unity. She is the epitome of a woman through her beliefs, decisions and care as shown by her noble love.